Art therapy, music, drama, narratives, puppet episodes, dance movements, cartoons, games, picture stories, pets and plants nurturance are some of the ways to connect and relate with an autistic individual. Charles Lutwidge Dodgson i.e, Lewis Carroll (1832- 1898), the British author, mathematician and photographer who was noted for his writings displayed some autistic symptoms in his school years as per research. Significantly, his writings are an example of fables with a difference. These narratives have been enjoyed by children and adults since publication. Unlike most of the children’s books of the day, ‘Alice in Wonderland’and ‘Through the Looking Glass’did not attempt to convey obvious moral lessons. It is a common knowledge repository that characters from Lewis Carroll’s books were different from the regular fairy tale narratives. The dialogues, expressions and tonality of the characters in these tales are out of the ordinary. All the people who live, interact, work, teach and play with the autistic children have to develop a keen sense of decoding. They need to interpret what is being said through the verbal and non-verbal expressions, gestures and the body language. Initially it might be baffling to interpretfacial expressions, movements, speech and gestures. Then again, many a times their tone of voice fails to reflect their feelings. A high-pitched sing-song, or flat, robot-like voice is common among autistic children. Some children with relatively good language skills speak like miniature adults. Some children only mildly affected may exhibit slight delays in language, or even seemto have gift of language and unusually large vocabularies. However, they have trouble in sustaining a logical conversation. Fairy tales are avidly consumed by children and also adults globally, cutting across cultures. Interestingly, tales and narratives are significant in diverse ways and are a considerable chunk of multi-billion dollars entertainment industry operating worldwide. Consequently, one has to work with fiction, narrative tales and autistic children with prudence and foresight. Yet, another turf is trials with writing and doodling. These are forms of essential communication. These are guided by a particular set of reasoning. Some children may learn to use tales and narratives through non-verbal and symbolic, pictorial methods. There are several dynamics of symbolic communication with pictures or sign language. Many of those who do not speak often use transmission of thoughts and feelings in unusual ways. They seem unable to combine words into meaningful sentences. Although, many non-autistic children also go through a stage where they repeat what they hear. Therefore narratives, tales, rhymes, poems etc may be communicated through puppets, dolls,soft toys and pictorial images since, a storyline and sequence of events form a link between different kinds of cognitive processes,simultaneously. Wolfgang Amadeus Mozart (1756-1791) was an Austrian composer. His contributions to the genre of classical compositions are uncontested and matchless even at present. There are few beguiling instances which suggest that he may have been an autistic man. Mozart communicated beautifully with the social world through music. It was pointed out by an aspiring an autistic saxophone musician … “there is a condensed magnificence of the seven letters that make the fundamental musical notes.” Interestingly, the western musical alphabets which are only seven in number create extraordinary billion plus musical pieces in multiple genres. All the tunes and symbols originate from the first seven letters A, B, C, D, E, F and G. Similarly, in the Indian music (Hindustani system) the basic notes are Sa, Re, Ga, Ma, Pa, Dha, Ni and Sa. These notes are eight in number yet, contribute to an enormous reservoir of Indian classical and contemporary music. Both these sets are compact thus, easy to arrange and memorise. It is also said that music is the language of emotions. There are empirical facts that autistic individuals respond emotionally to music. 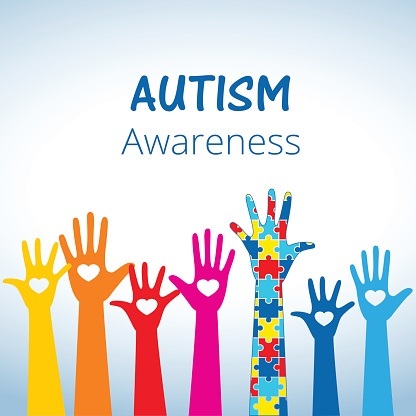 Remarkably, therapists, teachers, parents and others employ various standard and atypical means to connect and relate with an autistic individual. It can range from art therapy, music, drama, narratives, puppet episodes, dance movements, cartoons, games, picture stories, pets and plants nurturance etc. 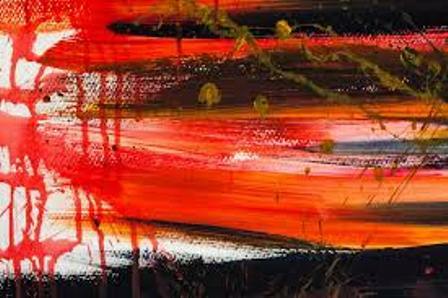 All such mediums touch upon visible and hidden cognitive, creative processes in an individual. There have been instances of notable and positive responses from autistic children to wonder tales and fairy tales. Noticeably, such practices assume motivating dynamics among children who also have siblings. Somehow, presence of siblings as a regular play mate provides a sense of steady, accessible and responsive audience to the autistic children. Significantly, some parents also involve pets to provide a sense of companionship to an autistic child.